There are times when you see an idea and want to hug someone for coming up with it. That's what we thought when we saw the new self-tag option from Alaska Airlines. The carrier launches its online self-bag-tagging options next month. Self-tag online debuts April 21 for passengers traveling nonstop between Seattle and San Diego, Anchorage or Juneau, Alaska, with plans to expand the option for customers traveling from other airports later this summer. This launch follows the completion of a successful pilot program, which was offered to customers traveling between Seattle and Hawaii in 2013. "Our goal is to be the easiest airline to fly. That's why we're introducing additional self-tagging capability so customers who prefer self-service options have the ability to print bag tags at home during the check-in process," said Curtis Kopf, Alaska Airlines' vice president of customer innovation and alaskaair.com. 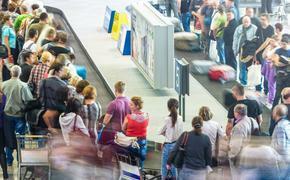 "Tagging your bags at home can save some time at the airport. If printing your bag tags at home isn't your preference, our friendly airport staff will gladly help check your bags to your final destination." Starting April 21, travelers flying to or from any of the four debut cities will receive a pre-trip email with a link to request a free reusable bag tag holder by mail. Tag holders will also be available to pick up at each of the four airports. Passengers who elect to self-tag will enjoy a designated Self-Tag Express™ lane when they arrive at the airport. - Book a trip at www.alaskaair.com. - Follow instructions in your pre-trip email to request a bag tag holder by mail or pick up a holder in person at one of the four participating airports. 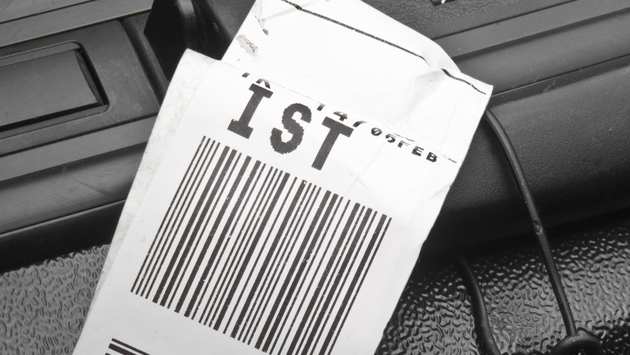 - Check in online up to 24 hours before your flight and follow the instructions to print a bag tag at home. - Insert printed bag tag into the tag holder. - At the airport, follow signs for Self-Tag Express™ lanes. - Show the agent your boarding pass, identification and drop off your bags. Alaska Airlines is the first U.S. carrier to launch self-bag tagging from home, another chapter in the carrier's long history of pioneering technologies and innovations to make flying easier. Alaska was the first airline inNorth America to sell tickets over the Internet, and the first in the world to allow customers to check in and print boarding passes online. Last year, the carrier installed kiosks with self-tagging printers at 10 airport locations including Seattle, Anchorage and Portland, Ore. Here's hoping this becomes an industry norm very quickly. For a complete list of airports and more information, visit www.alaskaair.com/selftag.